One pair of universally fitting walker accessories replacement wheels with openings for height adjustment. These durable casters work with practically every standard walker. The set of wheels also includes a pair of sturdy rear glide caps. This allows the walker to be used on every surface. The height adjustments can be made mannually without the aid of any tools. Simple to use push-button mechanisms give up to four inches extra height to the walker. Allows for eight height adjustments. The diameter of each wheel is 5 inches. Weight capacity of the replacement casters is 350 pounds. The weight of these replacement wheels is 2 pounds. Dimensions of the wheels are 15.5 x 5 x 5 inches. I upgraded my wife’s old walker for my own use. She got a new one as a gift. The old walker was basic with no wheels. 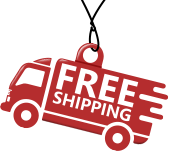 Looked through a dozen websites while searching for accessories for wheelchairs and walkers. This kit seemed like a great deal: it had everything I needed and the price was good. 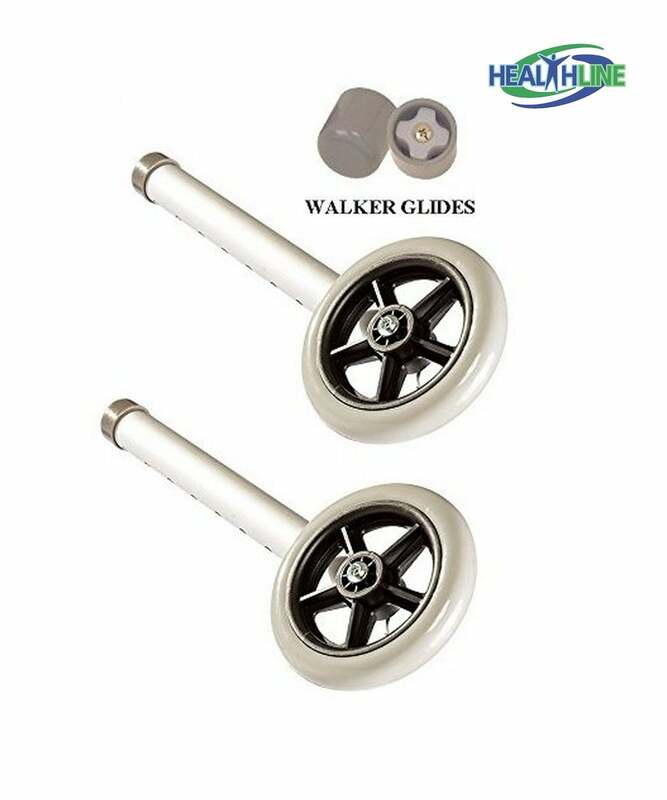 The wheels are easy to install and the glides allow me not to lift the walker at all when walking.